Should you work with a development adviser? Recent: Gary Morrison was a guest speaker on CBC Radio’s Almanac show with Gloria Macarenko. Recent: Check out our new “Cohousing Bootcamp Manual” to help you launch your own cohousing community. Recent: Gary Morrison was a guest speaker at the Vancouver Cohousing Forum (with keynote speaker Kerry Jang of Vision Vancouver) on November 22nd. Click here for event details . Recent: Chuck Durrett, architect and author, visited Qualicum Beach on October 26th to speak with us about cohousing and community building QB. Click here to download PDF file with details. Recent: Gary Morrison of LiveWell Cohousing is guest speaker on Reinventing Construction Project Delivery for Federated Press, May 1 & 2, 2014. Recent: Should you work with a professional cohousing consultant like LiveWell? See here for examples. Recent: Check out our new webpage on sociocracy. It’s a work in progress – but good enough for now 😉 See more on sociocracy and decision-making here. 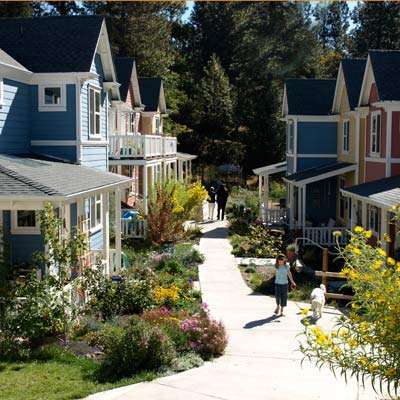 LiveWell Cohousing Consulting helps people launch sustainable communities. We are working to spread the cohousing model across Canada – one project, and one community, at a time. We welcome inquires about cohousing and are happy to share our experiences. Contact us for more info. Or explore this site – we hope you find it useful.